Do you like discovering local wines when you’re on vacation? 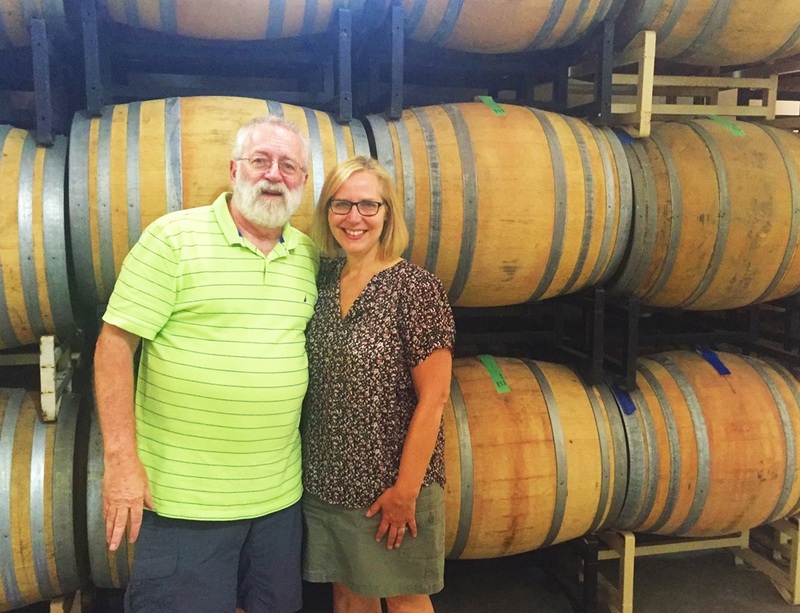 Sanctuary Vineyards in Jarvisburg has been making great wines on the Outer Banks for over a decade. Dave & I visited Sanctuary the other day and spent an enjoyable time with the very personable Elton Singletary, Sanctuary’s tasting room manager. Elton guided us through a tasting of each of their wines while explaining an interesting fact or two about the particular glass. Their most popular wine is Wild Pony White and the proceeds benefit the Corolla Wild Horse Fund. Although it’s hard to beat a free wine tasting, what made the visit to Sanctuary even better was chatting with Elton. 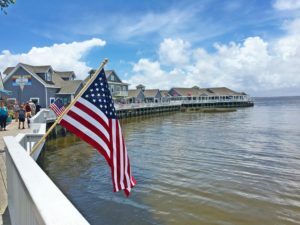 Besides knowing his wines, Elton is a wealth of information about the Outer Banks. He gladly shared his recommendations for the really great smaller restaurants that the locals love. It turns out that we share a lot of the same favorites, but we now have a few new ones to try out! 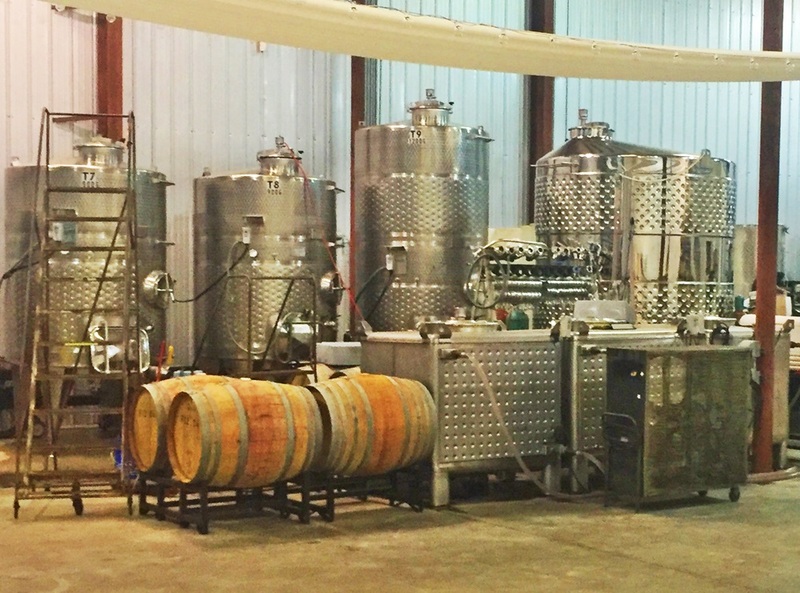 Sanctuary Vineyards is open daily and there’s a free vineyard/winery tour on Wednesday’s at 1:00 PM. Want to go by boat? 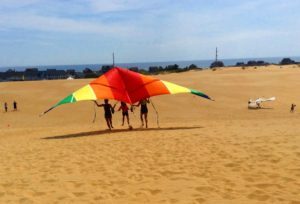 Kitty Hawk Kites offers a Vineyard Boat Cruise from Duck to Sanctuary Vineyards. 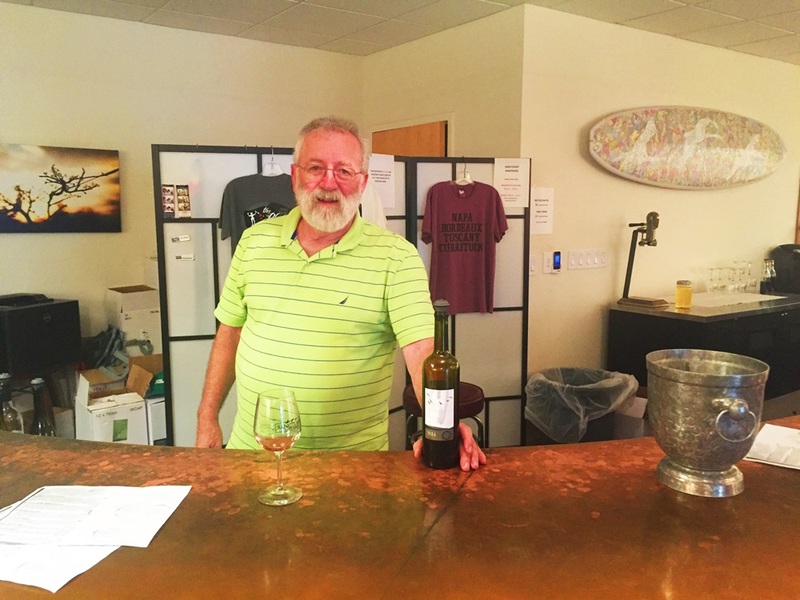 Even if wine tasting may not be your thing, stop in anyway, say Hi to Elton and ask him for one his local restaurant tips! 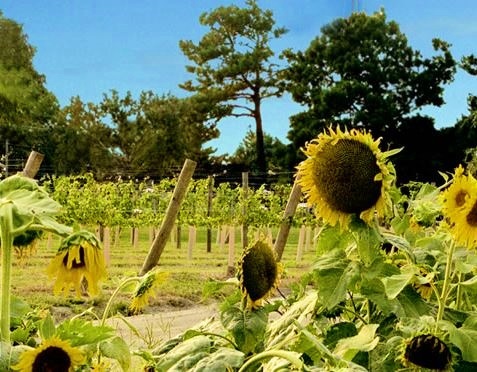 Can’t wait to visit the Sanctuary Vineyard on our next stay at the Leeward Inn. 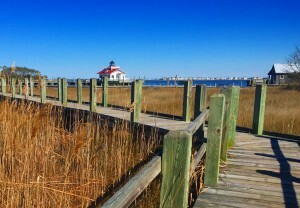 So much to see & do in the beautiful NC Outer Banks and all so convenient to your great location! Thanks so much for your kind words…hope to see you back soon!